The c-max allows you to overcome comfortably even narrow stairs or other obstacles inside as well as outdoors. The patented climbing kinematics practically take over the climbing process. The operator merely steers the c-max with very little physical effort. The c-max‘s low weight, and the fact that it can be easily and quickly dismounted, make it possible to take the c-max everywhere. That way you reach your destination safely and comfortably. The most important features of the c-max are safety, versatility and comfort. To reach this standard we developed numerous intelligent solutions to make your life easier. At the heart of the matter lies the patented climbing mechanism which virtually climbs stairs all by itself. 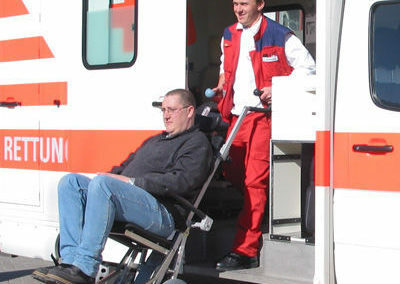 The c-max is available in two versions: for persons with a maximum weight of either 140 kg or 160 kg. The c-max‘s safety brakes stop automatically on the edge of each step. Its robust climbers set down closely to the step. 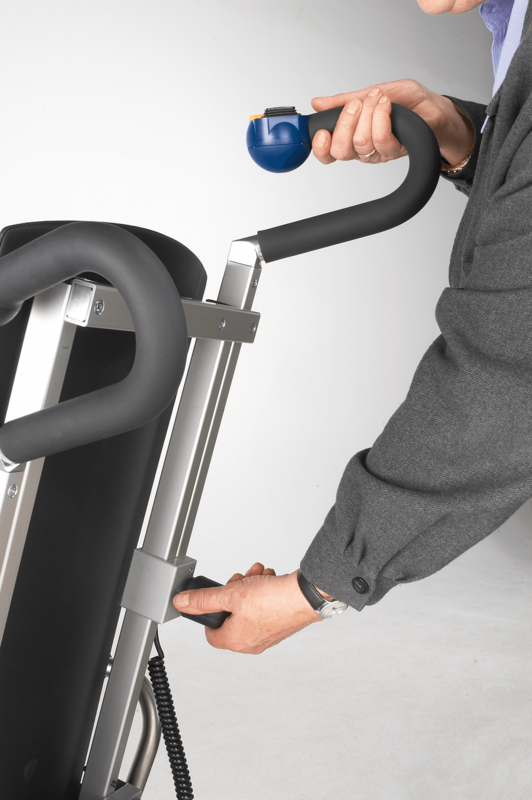 This guarantees a solid, steady footing, a simple and convenient handling and avoids the damaging of the stairs‘ edges. The climbers further make the c-max particularly versatile. It can be used on all kinds of stair coverings such as wood, stone, metal, PVC or carpet. 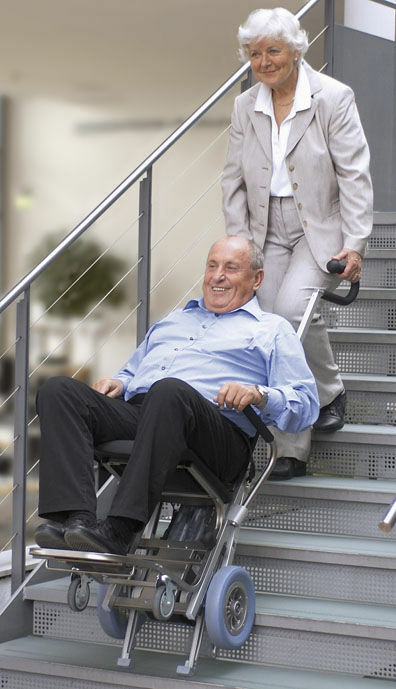 The big wheels and the climbers even allow the use on grating stairs! 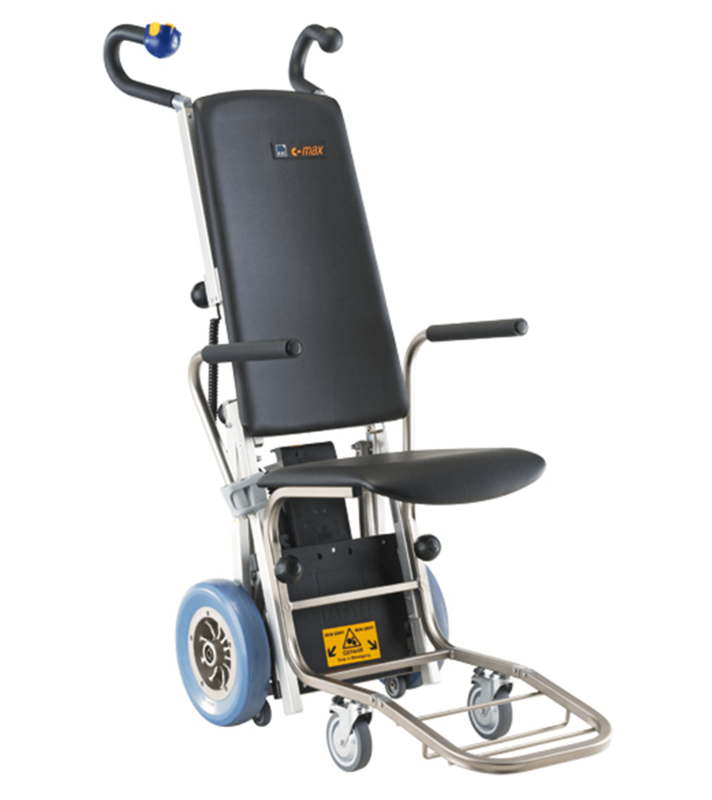 For your maximum comfort you can choose the climbing speed at your ease, a single step mode is an integrated feature that you can activate, if necessary. 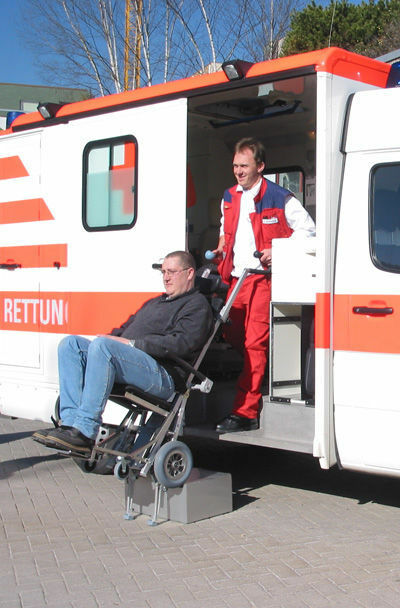 The C-MAX is a perfect daily solution for your mobility problem in a homely environment or a public building and especially for the rescue services. Quickly and effortlessly you can disassemble the c-max and store it in the car boot. 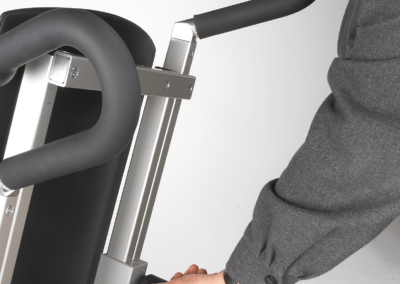 The device‘s adjustable handles and its ergonomic control unit make the c-max particularly user-friendly. You are in control of the c-max at all times due to the adjustable driving speed which allows you to adapt to various situations appropriately. The standard engine immobiliser prevents unauthorized use. The removable battery pack you can charge separately from the c-max by plugging the charger (included in the scope of delivery) into any wall socket.